Cookies Clues are some tips I learned along the way that I think you might find helpful. You could spend thousands of dollars on baking equipment that you might not really need. The following tools are inexpensive and will increase the tastiness of your cookies because they increase your accuracy as a baker. A cooling rack. Cookies are still baking when you take them out of the oven. Removing them from the baking sheet reduces the risk that they will overbake or develop an unwanted texture. Ideally, your cooling rack is in a grid pattern so smaller and delicate cookies don’t fall through the cracks. A cooling rack also frees up your baking sheets to increase your efficiency. An oven thermometer. Guessing about temperature and then changing temperature during baking can yield unevenly baked cookies. The thermometer, especially if you have a gas stove, will help you effectively manage heat. Two sets of measuring cups–liquid and dry. Liquids and dry ingredients require different forms of measurement. You will be a much better baker if you measure liquids and dry ingredients using the appropriate vessels. 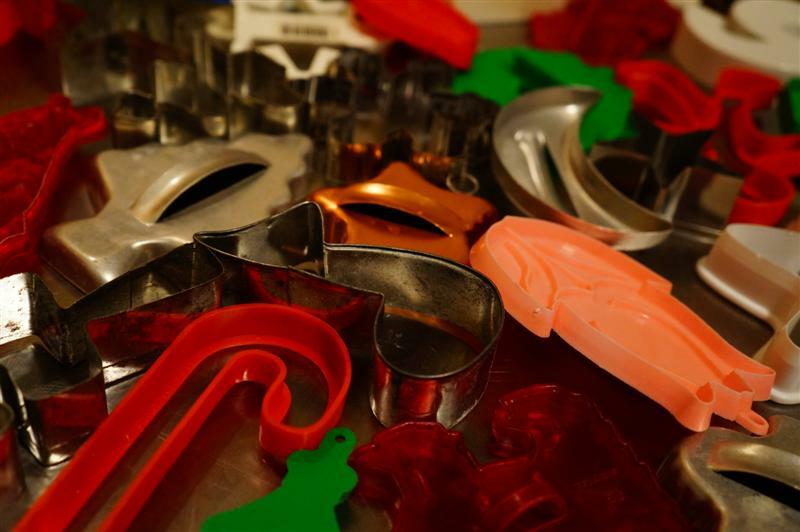 Cookie cutters are important and fun tools for cookie bakers. Always read the directions of any recipe all the way through before you begin to bake. 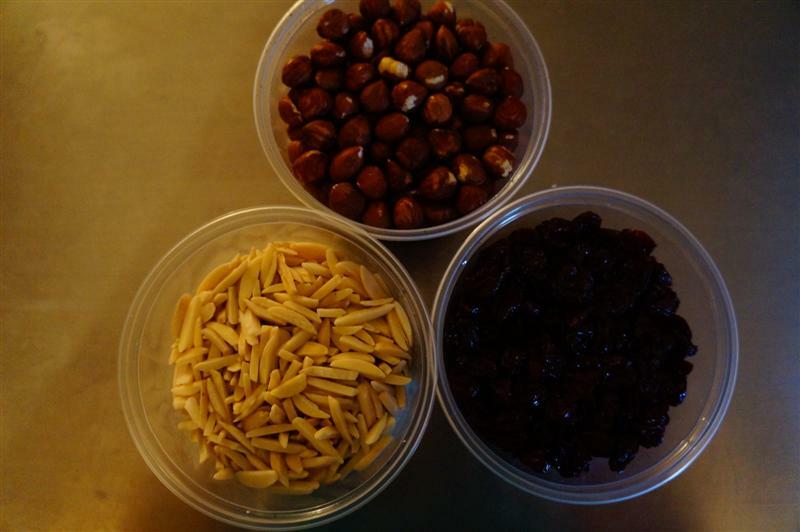 Mise en place: set out all of your ingredients before you begin to bake. Rotate cookies halfway through baking time. Familiarize yourself with how the heat flows in your oven. Always mix dry ingredients together before incorporating into wet ingredients. It can be tricky to tell when cookies are done. Drop cookies should look slightly wet in the middle and somewhat crisp on the perimeter. Sugar cookies and shortbread should look light in the middle but light golden brown around the edges. Cream cheese based cookies, biscotti and other buttery cookies should be lightly golden brown. If at all possible, weigh your dry ingredients instead of using measuring cups to maximize accuracy and therefore improve the taste of your cookies. Cookie dough can be frozen for up to one month and refrigerated for up to a week. Always wrap very well in plastic wrap. For drop or refrigerator cookies, you can freeze them in shape so all you have to do is thaw them and bake them off. You can freeze many types of baked, undecorated, unfrosted cookies quite well. Let them thaw at room temperature for 20 minutes before decorating. Crisp cookies should be stored in containers with looser fitting lids. Soft cookies should be stored in containers with tighter lids. Many cookie books say “cookies can be stored up to three days” but I’ve found that in the right containers (I prefer tins), they can be stored up to a week or more. Always put sheets of wax paper between rows of cookies in the containers. If cookies are getting dried out in storage, put an apple slice or a piece of bread in the container as this will rehydrate the cookies. 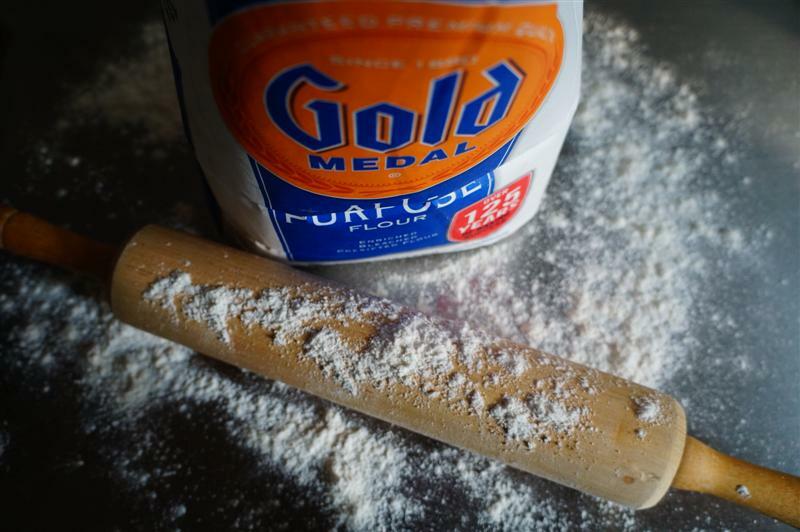 I stick with all purpose (AP) flour, in general. Occasionally, a recipe calls for cake flour (lower gluten content). To know when to substitute or not takes practice. In general, any cookie that has a high fat content and is meant to be delicate and crumbly, I would substitute. But for a shortbread (high butter, but sturdy) or a drop cookie, I would not. I don’t bother buying cake flour, instead, I employ a trick I learned from Cook’s Illustrated (Fall Entertaining, 2007). To make 1 cup of cake flour–add 2 tablespoons of corn starch to 7/8 cup of AP. Some people put flour in the freezer or fridge. I advise against this. Flour picks up all those other food smells. You could end up with sugar cookies that taste like your freezer. Store flour in a container or in its paper bag with a plastic bag over it. Some people swear by King Arthur Flour. I do see a slight improvement when using it. But, if you’re on a budget, Gold Medal or even store brand will do. The most important part in working with flour is making sure it is stored properly. Some recipes call for super-fine sugar. I see this in European cookbooks frequently. I usually ignore it. I learned from Cook’s Illustrated (Fall Entertaining, 2007) that to make superfine sugar you can grind the desired amount of granulated sugar in a food processor for 15 seconds. That, however, means another thing to wash and additional tool that you might not have. You should not substitute white or brown sugar for one another. To make one cup of brown sugar, add a tablespoon of molasses to one cup of granulated white sugar. Colored sugar and sprinkles are expensive! You can make your own colored sugar for half the cost and in twice as many colors available at the grocery store. Mix 1/2 cup (or so) of sugar with one drop of your desired food coloring (or mix of colors). Spread the sugar out on a plate and let dry. 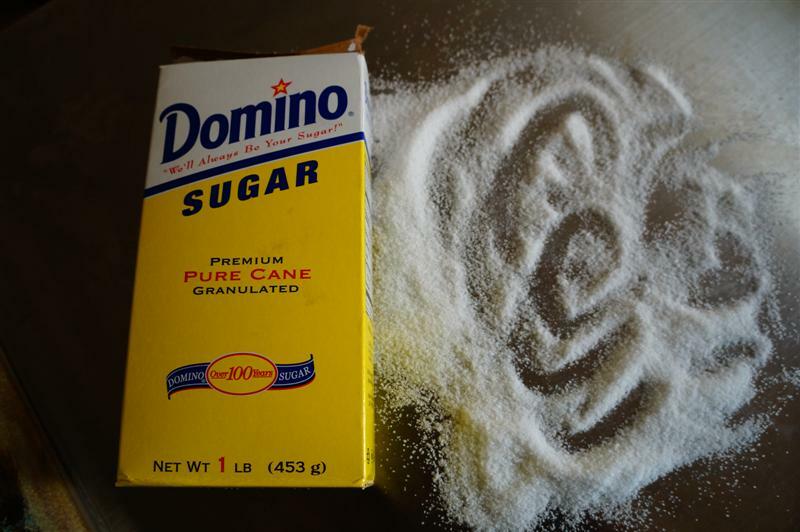 You can also do this with coarse sugar. There are formulas for mixing colors on the back of food coloring boxes. When measuring molasses, corn syrup and even peanut butter, spray the inside of the liquid measuring cup lightly with cooking spray; the vicious liquid will pour right out. Never buy the cheapest butter–you can taste it. You don’t need to buy the most expensive brand either. 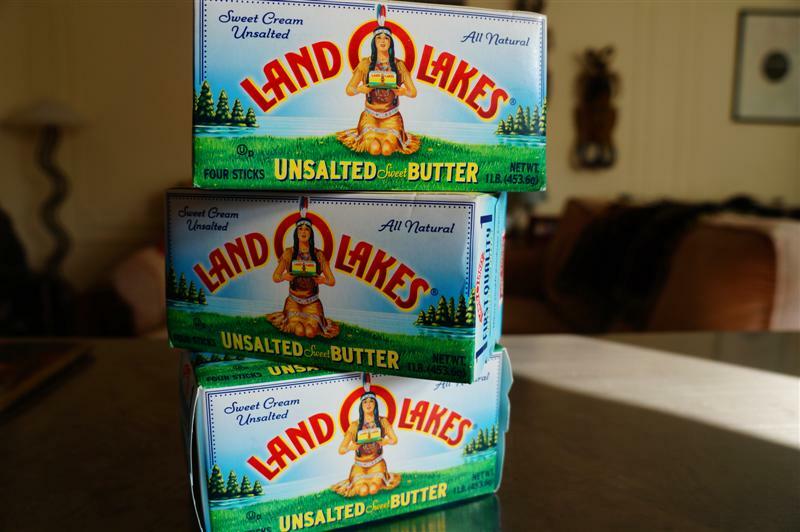 I think Land O’Lakes is the best. Butter should almost always be at room temperature. A quick way to soften butter is to microwave it for ten second intervals. Do not replace melted butter for softened butter in recipes. You can freeze butter for up to three months but make sure it is wrapped carefully as it will pick up the freezer smells, just like flour. 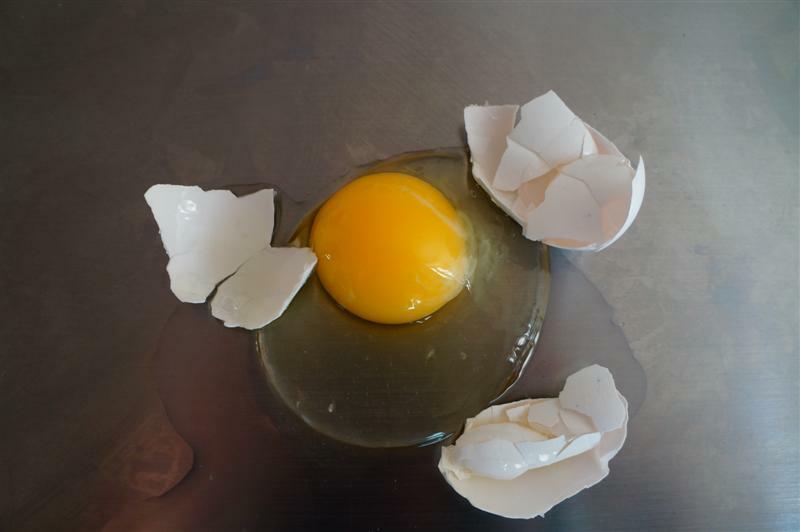 Eggs should always be at room temperature when used in baking. They can sit out on the counter for hours. Always mix eggs in one a time. Remember, they are a bonding agent and can be the key to a well blended and fully flavored cookie. Walnuts and pecans should always be toasted as it enhances their flavor. Line a cookie sheet with parchment or lightly spritz with cooking spray. Toast in a 350 degree oven for 5-8 minutes. Hazelnuts should always be blanched. 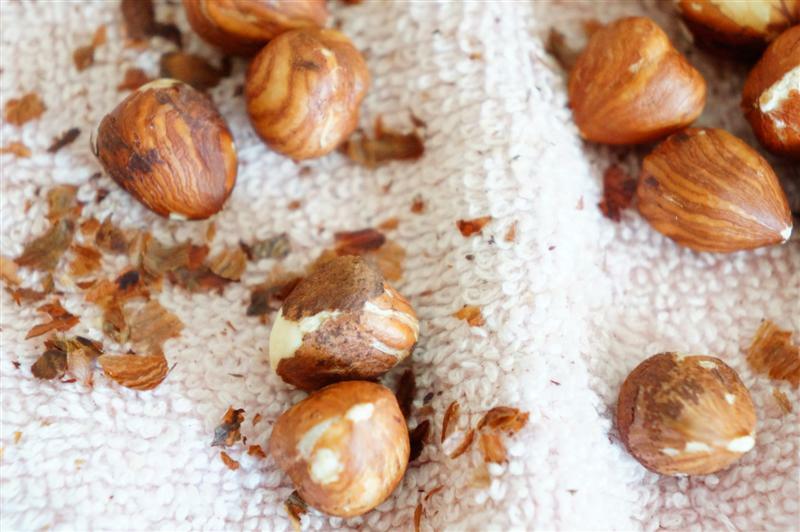 Place toasted hazelnuts–while still warm, and rub them in a towel so the brown outer skin flakes off. It takes some time so it might be worth the extra money to buy blanched hazelnuts. Almonds can be toasted but it changes, rather than enhances, their flavor so only toast them if the recipe specifies. The same goes for pine nuts and hazelnuts. Almond paste and marzipan (sweetened almond paste) are not interchangeable. You can use the microwave to melt chocolate, at ten second intervals. Mix in the butter if the recipe calls to melt the butter and chocolate together. Always break the chocolate up into almond size pieces before melting. Do not use the microwave for ganache. You don’t have to have a double boiler to melt chocolate over water. Just boil, lightly rolling, water and put a bowl containing the chocolate over the pot. 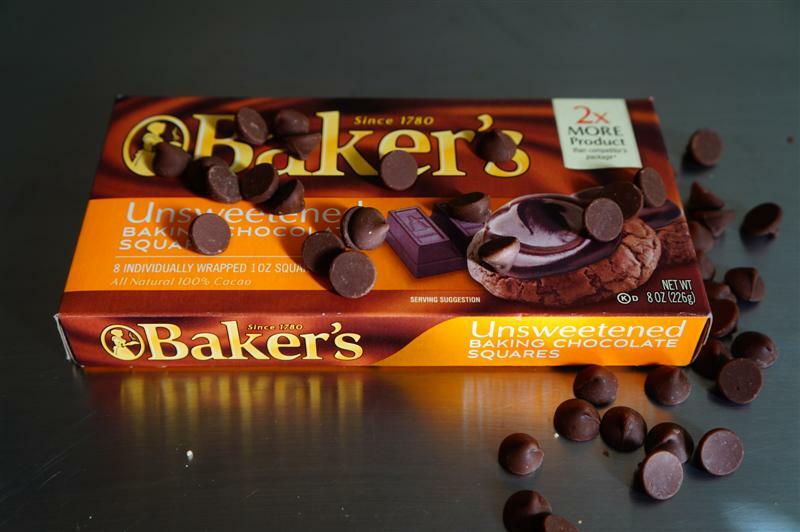 You can interchange bittersweet and semi sweet chocolate for one another, but never unsweetened for the former. White chocolate is not actually chocolate. Only buy white chocolate which lists cocoa butter as its first ingredient. Dried fruit can last for a long time but sometimes it is in need of rehydration. A quick way to plump up the fruit is to put your desired amount in a microwave safe dish along with a tablespoon of water and microwave for 15-30 seconds. Remove and cover with a paper towel to keep moisture in. Drain liquid and add to cookie batter.